Everything around us is turning into a smart device and making it simple for us to make our daily chores using these smart gadgets. LEMFO is the company playing a great role in providing the best smart gadgets to people. LEMFO is the Chinese largest manufacturer of the smart devices. 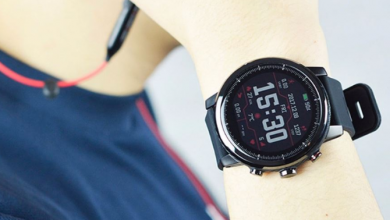 The LEMFO recently has come up with its latest launch of LEMFO LEM 4 Pro smartwatch. 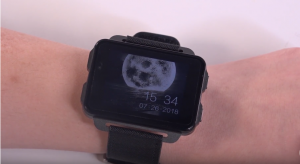 The LEMFO LEM 4 Pro is not completely a new smartwatch. It is the modified version of the previous launch by the company (LEMFO LEM 4). The new LEMFO LEM 4 Pro comes with minor changes and improvements as compared to its previous version. I am sure that the multifunctional features of the watch will attract you. Buy LEMFO LEM 4 Pro at just $105.77 on Ali express. The packing for this LEMFO LEM 4 Pro Smartwatch comes with a white design where the logo of the LEMFO is provided on the front of the box. After an opening of the box, you can see the smartwatch, but the screen has the protective film like a dial interface. Firstly talking about the shape, the shape of LEMFO LEM 4 Pro is same as the shape of LEMFO LEM 4. It is rectangular in shape with a massive 2.2 inch IPS screen. The display or the resolution of the screen is 320*240 pixels. The large display provides you with the better quality of the detailed and bright view. It is the best suitable size for a smartwatch with a high definition picture display. The high definition picture gives you a better look than the other smartwatches. The rectangular design of the watch is the thing that catches the attention of everyone which makes it one of the most stylish watches at the first look. With this square and curved design, this Chinese brand watch stands out with the elegant look. The appearance of the watch is similar to the previous LEMFO LEM 4. The LEMFO LEM 4 Pro dial is equipped with 26.90*6.20 cm LCD which makes this smartwatch extraordinarily compact and versatile to use. The screen provides the excellent quality with its full LCD look. The first change in this LEMFO LEM 4 Pro smartwatch is the straps. 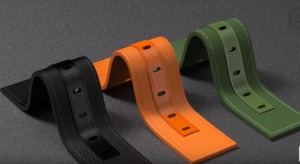 The straps in this new version watch are made up of leather. The straps in the previous version are found to be of rubber, as rubber is allergic stuff for many users. So keeping in the mind company has come up with a new and useful change. LEMFO LEM 4 Pro has the physical support as well on the right side of the display, from where you can run various functions on your smartwatch. This button is the home button of your smartwatch. A small press to the button lightens up the screen. The long press on the button helps you to switch the watch on/off. In the hardware section, we first talk about the display which comes with a 2.2 inch LCD screen and a resolution of 320*240 which helps to see a clear screen. This LCD screen also helps the user to get a proper view of the watch when viewing it outdoors. LEMFO LEM 4 Pro Smartwatch is built on the latest version of OS Android 5.1, equipped with a newer processor of MT6580 with a clock speed of 1.3 GHz. 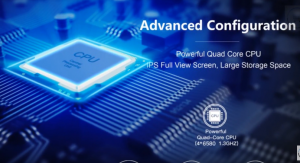 The processor works in conjunction with 1 GB RAM. More than this it provides the user with 16 GB of the storage memory, a vast space for a smartwatch to come with. A black side of it is the smartwatch does not support the sd-card. It means you have to adjust all your data in this 16Gb. The operating system takes away the internal space of 2GB and you are left only with 14Gb of interior space. The previous version of this smartwatch only has 512 MB of RAM and 4 Gb internal memory. The durable battery of 1200 mAh provides the user with nine days of power in standby mode, which is not often in the watches. For the speed, the LEMFO LEM 4 Pro works great with all the updated features in the market. 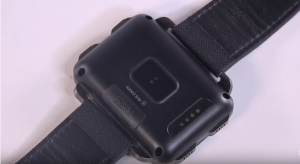 The heart rate monitoring sensor comes on the back of the watch. The sensor depicts your nerve and allows the watch to start with the response of your body. The leather band provided is removable which is made up of loving skin material. The leather material in the bands keeps the allergic users at ease. Software’s are the significant part of today’s world which have a considerable role to play in smartphones and smartwatches. 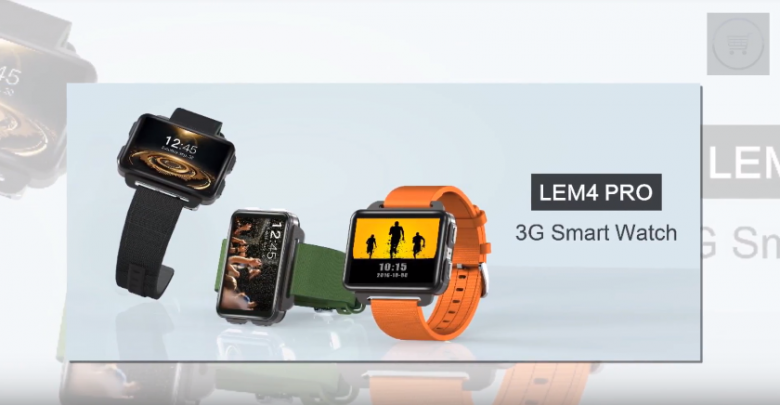 The LEMFO LEM 4 Pro smartwatch runs on Android 5.1 software. 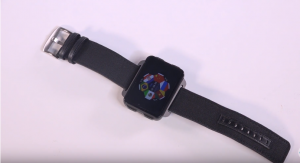 The nano sim technology is upgraded in this smartwatch just like the smartphones come with. The smartwatch also provides you with the various connectivity options like 3G, Wi-Fi, and Gps. LEMFO LEM 4 Pro also comes with the Bluetooth function. 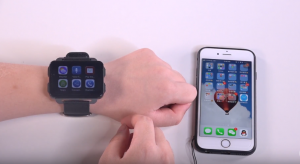 This function helps a user to connect their device with other IOS or any OS Android device so that they can operate the smartwatch from their phone. 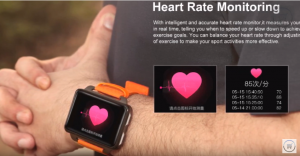 Watch comes with various sensors like a pedometer. 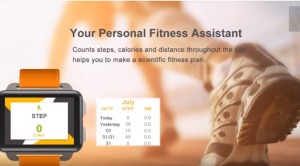 This function helps you to perform the activities like tracking the step, sleep, and heart rate just on your hands. The watch comes with various sensors like geomagnetic sensor, three-axis accelerometer, and barometer. All these functions help you to perform the activities like tracking the step, sleep, and heart rate just on your hands. 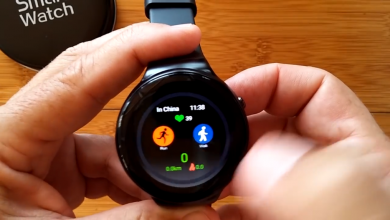 The Android play store application is pre-provided in this smartwatch. This function gives the user an option to install various type of app for their smartwatch according to their like. Let’s talk about the features of this great watch. With the capability of the nano sim technology, the smartwatch is capable of receiving and sending text messages. The watch also provides the feature to make and receive the call without connecting to any outsourcing. The most exciting feature in the watch is its 1.3 MP camera that is provided on the left side of the screen. You can get the average quality of images with this camera. This feature in the smartwatch gives you to capture the images and record the videos as well in the case of emergency. LEMFO LEM 4 Pro has many more advanced features than other smartwatches available in the market. Like; the built-in microphone which allows you to make and receive calls rather than the Bluetooth. The added speakers help you to entertain and change your mood listening to the music. Its large memory of 16 GB provides you for storing a lot of data in your hands. Also, you are now allowed to store a lot of songs and videos that you like on your smartwatch phone. It can be viewed when you want to just a click away on your hand, and you are on the go. 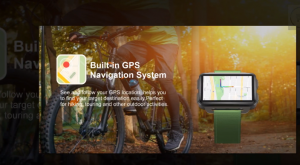 The newest function established by the manufactures is you get the notification on the screen about every application, or you can also use your screensaver as the weather report which is always available with your smartwatch phone on your hand. LEMFO LEM 4 Pro has an inbuilt battery of 1200 mAh. 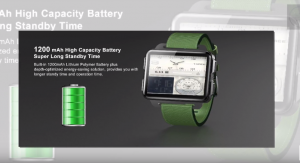 The size of the battery is sufficient for a smartwatch. Like, if you use the smartwatch with the battery consuming applications, you will need to charge the battery at the end of the day. Otherwise, you will not have to charge the battery for a whole long day. The smartwatch provides you 4 hours of actually talking and 1-2 days of active using. LEMFO LEM 4 Pro in our review is a well-targeted product. This watch is considered the best watch for the money and features if you are good with its LCD screen. If someone does not want to spend a lot of money, this watch is the best option for them. LEMFO LEM 4 Pro provides the user with the certain features despite less cost. 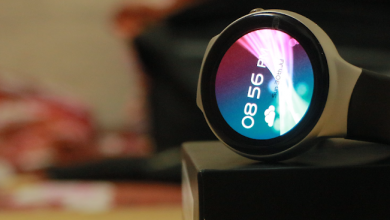 If you need to buy a smart watch equipped with many features and a decent look, the LEMFO LEM 4 Pro is the best option for you to order one now. LEMFO LEM 4 Pro comes with a USB cable which you have to attach to a laptop or another power source and place it on the back to charge this smartwatch. The small size of the battery helps you to charge the battery quickly. Buy LEMFO LEM 4 Pro at just $119.99 on Banggood. Buy LEMFO LEM 4 Pro at just $119.99 on Gearbest. 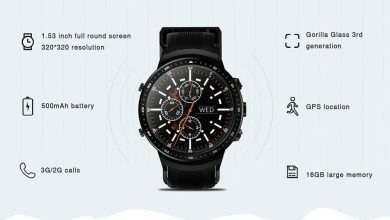 The LEMFO LEM 4 Pro smartwatch phone is the advanced level of the previous watch and is improved in all the aspects like display, functions and the software. Leagoo T8s: The new jewel of Leagoo, already in pre-sale!